Ready to start collecting electronic payments for your child care, daycare, or preschool? These resources allow you to quickly set up Tuition Express for your center. The Tuition Express Team is available to assist you in getting started. To move forward with Tuition Express, please contact us at 800-338-3884 or TE_Sales@procaresoftware.com. We will email you your unique Tuition Express Merchant Agreement. Now that you are setup, you can view reports, account information, and deposits at tuitionexpress.com. These resources include media, documents and forms to help educate your staff and customers about Tuition Express. Training and Support: Head over to the Procare Support Site for more. In today's electronic environment, how secure is the bank account information I'll be sending? The ACH system that handles all electronic funds transfers (EFT) has been in existence since 1970 and is highly secure. In 2002, more than 9 billion electronic transactions and $24 trillion dollars went through the system. Procare addresses your security concerns with additional security measures, utilizing 128 bit encryption software. What benefits will we see when Tuition Express collects our Accounts Receivable for us? A recent study by Connecticut-based Greenwich Associates shows that companies report processing cost savings of 11.5 cents per item when check collections are converted to automatic payments. Other benefits include: reduction of administration and operating expenses, elimination of time lost delivering the bank deposit, reduction in clerical expense associated with reconciliation, accelerated availability of funds, better cash management forecasting, improved business relationships, certainty of delivery, and possible reduction of bank service charges. Will Procare assist me in marketing Tuition Express? If so, what type of help can I expect? Absolutely! Once your application is approved, Procare will send you a Getting Started package with all the marketing material you'll need. We'll send the Tuition Express software module, brochures, FAQ sheets, and application forms to hand out to your sponsors. What are the costs associated with Tuition Express? Research indicates that the Tuition Express Fee Structure is one of the lowest. Our philosophy is to deliver the best possible EFT products and services at an affordable rate. Please contact our Tuition Express team for a rundown of fees. How soon after I send my EFT file will my account be credited? Once you've sent your EFT request, you should see a credit to your account in about 48 hours (depending on your bank). Not only is this faster than walking into your bank to make a deposit, but there are other benefits as well. You'll be notified of any NSFs much faster than the week or two it takes to receive notification from your bank. How does Tuition Express credit my account for tuition and collect fees? Tuition Express will electronically transfer the funds to your account using the same ACH system it does to deduct payments from the accounts of your families. Tuition Express will collect its per item fees each time your account is credited for tuition. All monthly fees will be debited from your account on the first business day of each month. What kind of reports will Tuition Express give me? When you send an EFT file to Tuition Express, we will e-mail a confirmation receipt. While Tuition Express is processing the credit to your account, you'll receive an e-mail reflecting the amount to be deposited. For NSF transactions, Tuition Express will send an e-mail, detailing the family and the amount. Who else is using electronic payments? The list keeps growing as the benefits to using electronic transfers become well known. The leaders include mortgage lenders, insurance companies, health clubs, cable TV, utility companies, churches and now child care providers. How easy is it to get started with Tuition Express? Complete and sign the application, attach application fee and VOIDED CHECK. Fax or mail it back to us. Once your application is approved, we'll set up your account and send you all the materials needed to sign up your sponsors for Tuition Express. After that, all you have to do is have the sponsors sign the "Automatic Payment Authorization" and add them to Procare's Tuition Express module. 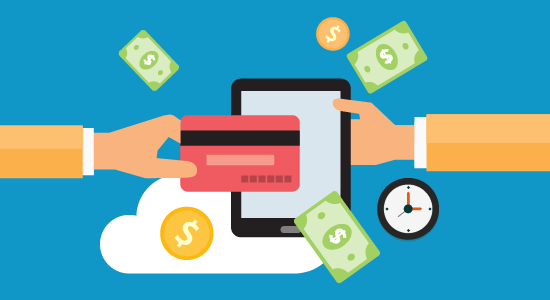 Where can I find out more about electronic payments? For more information on electronic payments, visit ElectronicPayments.org. This is an excellent resource explaining the system and its benefits. How do I separate charges that I do not want to process through Tuition Express? First consider if this is really appropriate. It's much easier to allow Tuition Express to process all payments rather than trying to collect for a few things manually by check or cash. If you decide to pursue dual payment collection there are a several options. Option 1: Wait to charge items that you do not want collected by Tuition Express until after you've processed the normal Tuition Express payments for the week. At this point each family will presumably have a balance of zero. Now post the fees you wish to collect by check or cash. As the payments come in manually post them to the family ledger cards. Or manually adjust the amount down (in Step 2) for those families. Option 2: Use the Sponsor Ledger for normal fees you want processed through Tuition Express and post other fees to the CoSponsor Ledger. The family will then have two balances. When check and cash come in for the "other" fees be sure to manually post them to the CoSponsor Ledger. The disadvantage to this approach is that those families will need to have two statements printed, one each for the Sponsor and CoSponsor Ledgers. Also this option will not work if you are already using the CoSponsor ledger (for example in a divorced family situation). Option 3: Create a Third Party Agency ledger to hold charges you do not want processed through Tuition Express. You could name the agency something like "Other Charges". This is similar to option 2, but has the added disadvantage that in order to print a separate "Agency" statement for each family you'd have to print them one at a time. Any online payments scheduled for that day* will be processed at 1pm PST. Payments available for posting into Procare by 4pm PT. Parents' bank or credit card accounts debited amount requested. Exact time of debit at bank's discretion. Most center bank accounts credited for ACH transactions. Centers' remaining due ACH transactions receive deposits. Funds from credit card transactions deposited into center's account. Center notified by email of ACH non-sufficient funds items (NSF) and Notifications of Change (NOC). Center must correct parent ledgers for each NSF. Center notified by email of ACH non-sufficient funds items (NSF) and Notifications of Change (NOC). Center must correct parent ledgers for each NSF. *Parents may schedule online payments up to 14 days in advance. Federal Bank Holidays may affect processing timelines. Merchant is responsible for verifying funding of bank accounts.